Russian Airbus 321 plummets to the Sinai after an explosion by missile or bomb. [ Note: This story began with an airline crash and many suspicions. Now we have a claim by ISIS in Sinai, a shadowy group organized by Saudi intelligence with full complicity of Israel, opening the border into Negev for a peek-a-boo war, like ISIS in Syria/Daar’a Province. The video is not confirmed and is being carried by Iranian media and hosted by VT. I just got off the phone with our resident airline security expert, Lt. Col. Stephen Avery. He flew the Airbus 321 when a pilot and head of security for US Air. Yesterday, we received warnings that an American plane would be shot down over Syria and blamed on the Russians accompanied by a transcript of the plans being made. Today a Russian airliner carrying over 200 passengers plunged to the ground after reading 31,000 feet, something atypical for airline crashes. Planes seldom hit cruising altitude and develop mechanical problems. The plane had just flown over Israeli/ISIS controlled territory when the mishap developed. There are still mechanical problems with planes, this one an 18 year old, not that old, an Airbus 321 filled with Russian vacationers returning from Egyptian beaches to St. Petersburg. According to Flight Radar 24, the jet was plunging at 5,760 feet per minute at 30,000 feet when it lost contact with air traffic controllers. Here is the rub, bringing down aircraft filled with innocent civilians is a typical form of state terrorism. America has used it against Iran, we are told Libya used it against the US (and Scotland) but that issue has never been settled to anyone’s satisfaction. We lost a Polish president on a crash over Russia which Russia has been accused of causing though the political upheavals in the region would put my money on NATO as the culprit, opinion only. Russia brought down a Korean airlines 747, we could go on forever, simply mentioning the crashes and “downings” that we are supposed to know of. Never take an airline crash at face value. Never take an airline crash near a combat zone at face value. Always look for an angry nation state “player” looking for revenge, Israel certainly qualifies but with the current command bifurcation in the US, they aren’t above involvement either. If one were to look at the airport personnel at Sharm el Sheikh, where the ill fated flight began, would one find penetration by foreign intelligence services or Egyptian personnel on the payroll of Saudi Arabia? Let’s take a look at Saudi Arabia. The Saudi king and Saudi foreign minister are continually either visiting Moscow or on the phone with Putin or Lavrov. Yesterday’s conference in Vienna which put Iran and Saudi Arabia at the same table didn’t come up with a comprehensive settlement but the items that were settled went very much the wrong way for Saudi Arabia. All of the groups the Saudis are supporting with cash and advanced weapons will be on the terror list and subject to obliteration by the 19 nation coalition. When Saudi continues sending in weapons, and they will certainly do that, eventually they will run afoul of Russia for certain and, weak though this has become, public opinion around the world. The holocaust in Yemen has already stained Saudi Arabia beyond redemption anyway. Would they have plotted against Russia and brought down this aircraft? The answer is a resounding yes. Are there factions in Saudi Arabia that would use this against not only Russia but the current king who is seen as incompetent and sickly? The answer again is yes. The second player is Israel. Russia has, during the last week, bombed Israeli backed terrorists on Golan Heights, right under Israeli air defenses, an area where the Israeli Air Force has openly attacked Syrian forces in the past, though inside Syria. Now the rules have changed and the terrorists, mostly al Nusra, but some FSA “moderate terrorists” as well, though there has yet to be anyone to prove the FSA is still active inside Syria, are being bombed out of existence. Their only choice is to flee to Israel across the demilitarized zone policed by the United Nations or to sneak into Jordan where the government there has begun only recently rounding up terrorists. Is this enough to enrage Israel into another of its endless crazed “USS Liberty” type acts of state terror? Then again, did the plan crash on its own? Today Russian investigators will be flooding into Cairo. Those who waited with baited breath for the MH17 report to come from the Dutch, believing this would go somewhere and that NATO could engineer though state terror adequate moral highground to justify US military intervention in Ukraine, may have their day in reverse. Now Russia gets to report and can take all the time they need. Will Russia take advantage of this reversal of fortune? The wreckage of a Russian Airbus A321 plane, which apparently crashed while en route from Sharm el-Sheikh to St. Petersburg on Oct. 31, has been discovered in Egypt. Earlier in the morning the Russian Federal Air Transport Agency (Rosaviatsiya) possesses information indicating that an Airbus A321 plane en route from Egypt to St. Petersburg disappeared from radar screens. The plane was carrying 224 people, including 217 passengers and 7 crewmembers. All passengers on board a Kolavia aircraft are Russian citizens, the Govorit Moskva radio station reported with reference to a source from the Russian embassy to Egypt. The Irish-owned aircraft was leased by a Russian airline. It crashed in the Hassana area, south of Arish. Reports suggest the pilot had warned air traffic controllers of a technical issue on board the aircraft. Weather conditions were said to be poor at the time of the crash. Egyptian security officials have found the wreckage in a remote mountainous region which has large numbers of ISIS-affiliated terrorists, although they are not thought to possess any weapons which could hit a passenger jet at its 35,000 feet cruising altitude, Daily Mail Reports according to Egyptian security sources. Egyptian security officials confirmed that there are unlikely to be any survivors following the accident. The plane went down in a mountainous area in central Sinai and poor weather conditions have made it difficult for rescue crews to get to the scene, the officer said. Survivors and bodies of those on board will be flown to Cairo, the security source said. According to Russian news agencies, the aircraft was an Airbus A-321 operated by Kogalymavia Aircraft. Egyptian emergency authorities have sent 45 ambulances to the scene to help with the rescue efforts. There were no indications the aircraft was shot down, according to Egyptian security sources. The aircraft went down in an area where pilots are warned against flying at less than 24,000 feet because of the danger of ‘dedicated anti-aircraft weapons’. A Russian plane carrying over 220 people from Egypt to Russia disappeared from radars, and crashed in central Sinai, according to Russian and Egyptian authorities. Kolavia Flight 7K9268, an Airbus A321, went off radar 23 minutes after taking off from Sharm El-Sheikh International Airport, Sergey Izvolskiy told the media citing preliminary data. The plane was carrying 217 passengers and 7 crewmembers, he added. Seventeen of the passengers were children. The Russian embassy in Egypt initially said all on board were Russian citizens. Later, the Belorussian embassy said one of the passengers was Belorussian. Egyptian authorities said three of the victims were Ukrainian, but Kiev didn’t immediately confirm that. Egyptian Prime Minister Sherif Ismail confirmed that the Russian plane did go missing over Sinai and said a cabinet-level crisis committee has been convened to deal with the incident. The crash site was discovered hours later in a desolate mountainous area of central Sinai, Egypt’s aviation ministry reported. The plane was destroyed and all passengers and crewmembers were killed in the crash, Egyptian military and rescue officials told AP. Earlier, media reports suggested there might have been some survivors. The Egyptian military told RT access to the crash site may be difficult for the press due to the volatile security situation in the Sinai. Large parts of the peninsula are dangerous due to the presence of militants, with only coastal areas in the north and south adequately guarded by security forces. The crash site is in the Hassana area 35 km south of Arish, the largest city in the Sinai. The flight was traveling from the Egyptian resort to St. Petersburg. It belonged to the Kogalymavia airline, which also uses the brand name Metrojet, an operator popular among Russian tourists going to Egypt. The plane was supposed to contact air traffic in Turkish Cyprus’ Larnaca after leaving Egypt’s airspace, but failed to do so. The tourist operator Brisco charted the ill-fated flight. The company is a business affiliate of Metrojet and they said the captain of the Airbus was an experienced pilot familiar with the aircraft. “The captain was Velary Nemov, who has 12,000 flight hours under his belt, so he is definitely an experienced man. Of those, some 3,800 hours he spent piloting Airbus 320s. So we don’t have any reason to suspect human error from the crew,” a spokesman for Brisco said. The plane climbed to its designated altitude of over 10,000 meters before rapidly losing speed, dropping and then vanishing from radar. 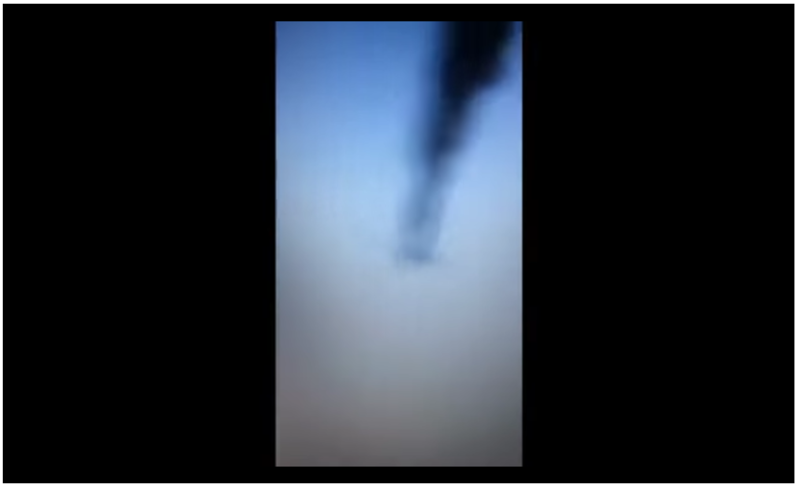 Some reports in the Egyptian media cited eyewitnesses as saying the plane was on fire as it fell. A source at Sharm El-Sheikh Airport told RIA Novosti the pilot of the missing plane requested a change of course, saying the jet would have to land in Cairo. The source said the crew of the crashed plane had complained to the airport’s technical service that the jet had engine problems. The rapid drop the Airbus 321 reportedly experienced before crashing indicates pretty unusual circumstances and would suggest an emergency descent maneuver conducted by the crew, Captain Richard Woodward, former vice-president of the Australian and International Pilots’ Association (AIPA), told RT. Russia has declared Sunday a day of national mourning for the crash victims. Metrojet had a fatal incident in 2011, when one of its planes caught fire on a runway in Surgut Airport in Russia’s Urals. Three people died and 40 were injured as the plane burned out in just 10 minutes. The last large-scale Russian airline incident happened in November 2013, when Tatarstan Airlines Flight 363 crashed at Kazan International Airport while attempting to land. Fifty people died in the incident.